I'll ever put those things on my five finger feet! But alas, once I saw them and read about them, I just couldn't stop thinking about them! This is excellent information, Katie. The USO example you gave really helped to make your points clearly. Thank you, as always, for sharing your insight and expertise. I'm really enjoying reading your well written articles. I spent many efforts and time to update the blog. I'm taking a mark and look forward to reading new articles. Please keep the good articles! wow, what a fantastic little piece of equipment! As may be expected, a lot of people get injuries due to this. I just read about this in the paper! It contains wonderful and helpful posts. How I wish I'd known about this blog before. I would have loved to have worked on this project! What a great accomplishment. Beautiful. Congratulations to you. A very good brand. I used to have a casio but switched to Sony. I am much happier I have to say. 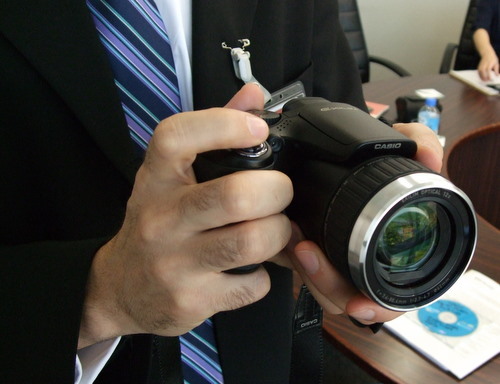 This is good news about Casio high speed camera. Actually, I used to be finding out the highly speed cameras for my photo studio. I look for such article along time,today i find it finally.this postgive me lots of advise it is very useful for me . Superb presentation in a matching wrapping. The websites for sale this article is probably not concerned with at all are viable alternatives to rocket fuel. The buying websites process is oftentimes not at all free of hassle and disappointment. As in your excellent post, then turnkey websites or dropship websites are quite relevant and indispensable. What urges you to buy a website or an online business is the very down-to-earth information given above. The picture is really good & so is the video.